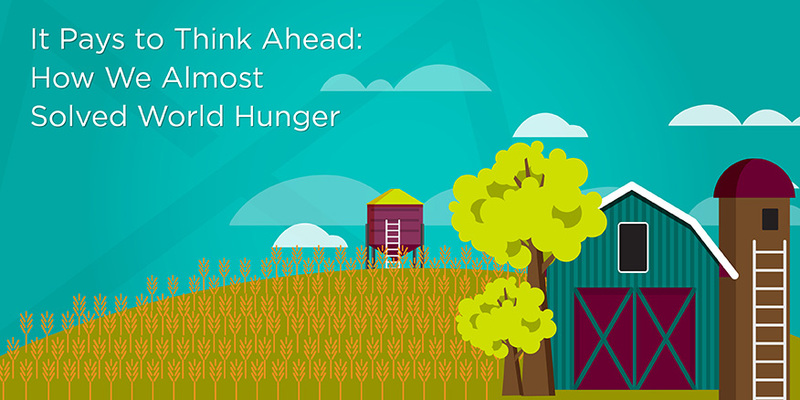 How We Almost Solved World Hunger – Macleod & Co. Fascinating article in the Independent on Genetically Modified Organisms, or GMO wherein the CEO of Monsanto admits “hubris” is to blame for public fears about GMO technology. His hubris. Their hubris. He says several things that so many of us will recognize in ourselves; primary among them he states that consumers were “an abstract” to their discussions. They were so focused on the “cool science” and the ability to actually solve world hunger that they got excited and didn’t think about how the average shopper might react in the grocery store. I’ve gotten really excited before! I’ve popped off at the mouth without thinking! I’ve never gotten close to solving world hunger before, though. And I certainly haven’t screwed up the opportunity to solve world hunger by popping off because I’m all excited. WTF, Monsanto? Why didn’t you tell us this is what you are trying to do?? GMO is a huge and very important debate. We have a client, InHarvest Whole Grains, Rice & Legumes, and we’ve been helping them talk about this issue (and many others) for our entire partnership. InHarvest has always been really thoughtful about the GMO debate. They see the potential for not only solving the food shortage, but also fighting malnutrition, creating edible vaccines, and fighting autoimmune diseases. The individuals who make up the company believe in the technology’s power to do great things. Instead, it was a lengthy and thoughtful debate about what kind of customers they have (high-end chefs), what kind of values they have (transparency, treating others with respect), and what kind of company they want to be (one that does well by doing good). And the internal debate continues — to this day. When a shipment came in that had unexpected GMO in it, they didn’t accept it. Monsanto and InHarvest represent a similar outlook on GMO technology, and two fundamentally different approaches to bringing it to market. Holistic Marketing wouldn’t have let Monsanto fall victim to their own excitement. The holistic mindset would have had the consumer — the ultimate arbiter of the technology’s success — firmly in mind. Holistic Marketing would have helped them see the potential for abject failure if it had been wrongly positioned. And it certainly would have told them that Europe is not a market to brush off. So, I’m not making any value judgment on GMO. It’s interesting, to be sure, and it does address a massive problem we all share. And the Monsanto CEO has a very valid point that the anti-GMO lobby hasn’t provided an alternative to solving world hunger without using new technology. But I am saying that a respectful and thoughtful approach will lead the conversation in a more productive direction and produce better results. Are you looking at how to bring a disruptive idea to market? Give us a call for a free consultation on how a Holistic Marketing approach can help ensure not only success, but maximum ongoing profitability. 612.315.5200 or drop us a line at hello@macleodandco.com. We’ll be glad to hear from you.